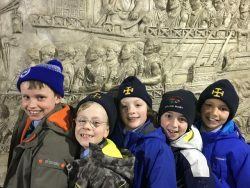 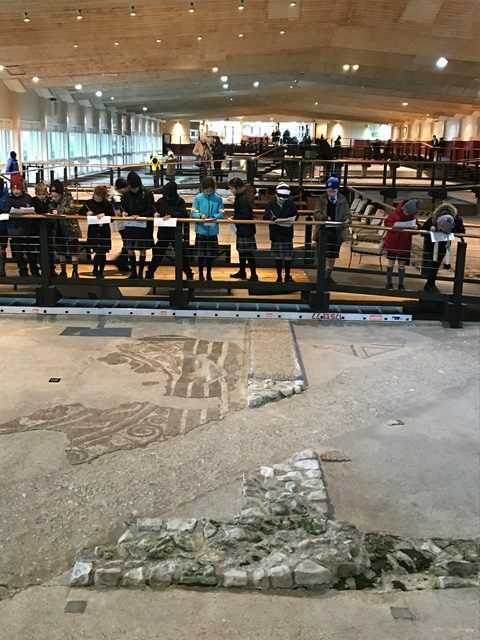 Form 2 visited Fishbourne Roman Palace as part of their Humanities studies on the Romans in Britain. 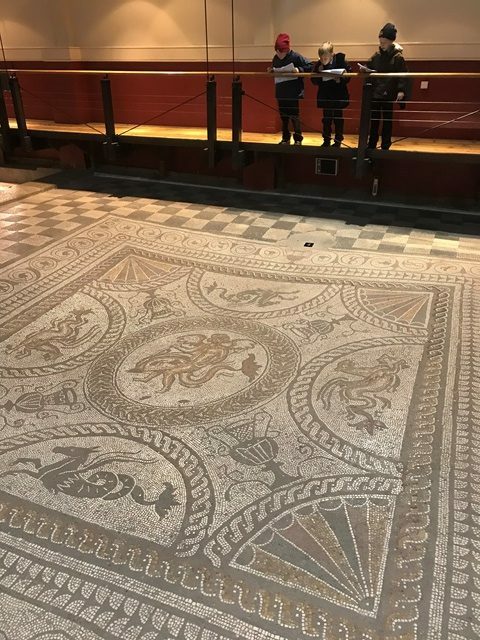 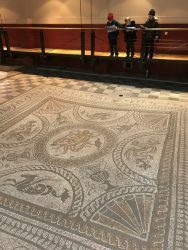 The children were fascinated by the 2000 year old mosaics, which include the famous and stunning Cupid Riding a Dolphin mosaic. They couldn’t believe that Fishbourne had been discovered by accident in 1960 when the local water company dug a trench across the site (sadly still visible!). 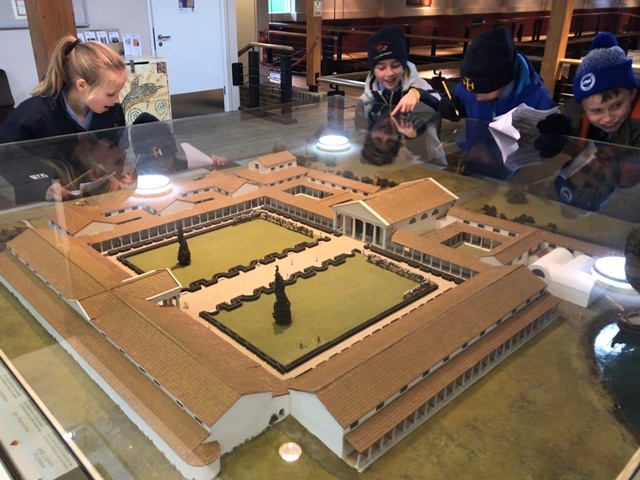 The pupils enjoyed fact finding in the museum in order to complete their booklets. 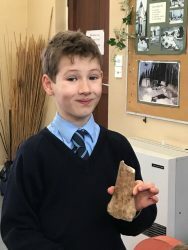 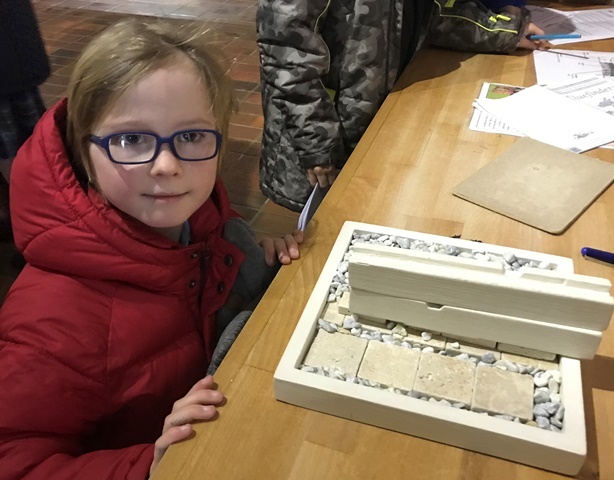 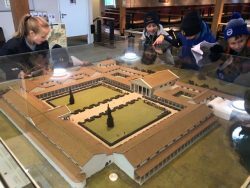 The most exciting new facts included pastimes in a Roman villa, how to heat a Roman room and what can be learnt from the contents of a Roman rubbish dump! 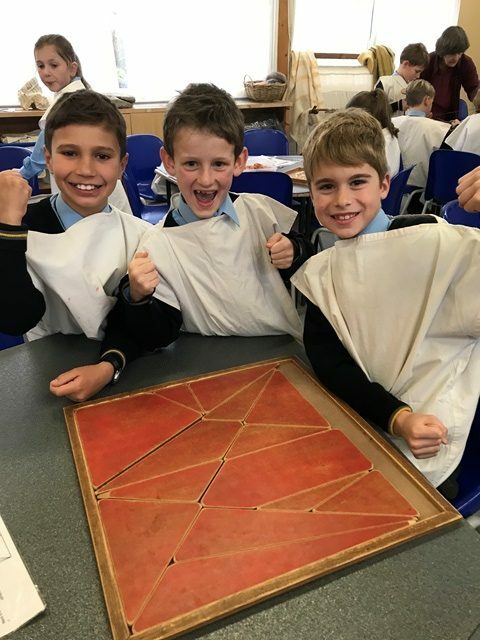 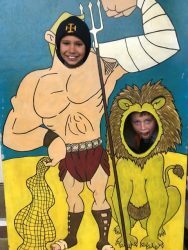 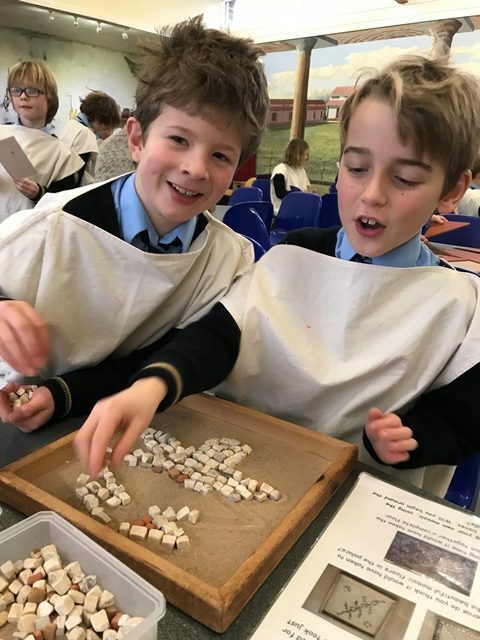 The workshops were the highlight of the day, when students were allowed to get hands on: trying on Roman clothes, building a Roman arch, grinding grain, writing names in Latin, designing and building a mosaic, and solving Roman puzzles. 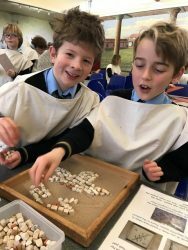 A fabulous time was had by all and Form 2 agreed that we should run this popular new trip again next year. 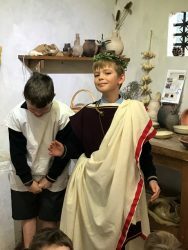 We can’t wait to get back in to the classroom and find out more about the Romans in Britain.